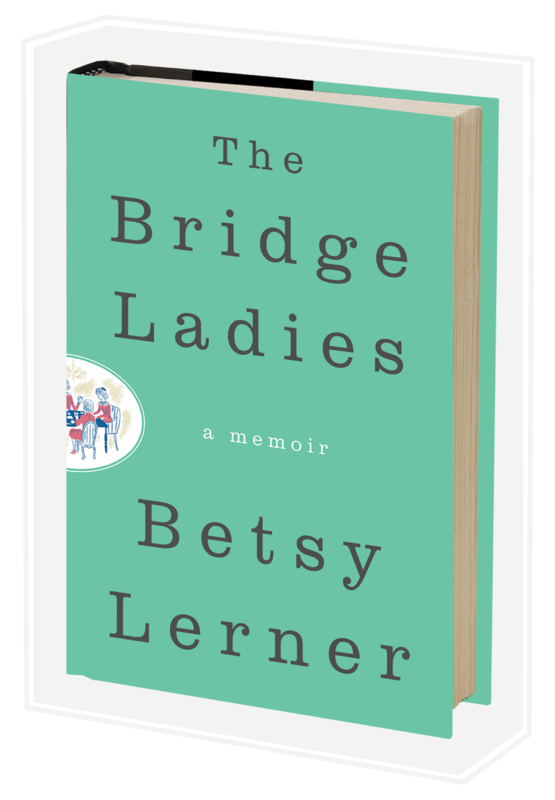 I brought finished books to the Bridge Ladies today. It felt momentous to me. It’s more than three years since I started sitting in on their game, interviewing them, learning bow to play. Somehow all those lunches and games and conversations with them became a book. About them. Us. THey didn’t say much beyond Thank you. They looked at the inscriptions I wrote to them, they read the acknowledgments. Completely in character, they were taciturn in the extreme. I played a few hands and left. On the way home, I stopped at Krauser’s and bought fistfuls of penny candy. Wow a full circle for Betsy today, back to the table. How intense! The end of something. O it must be time for my daily writing ‘chore’! And, life goes on. Sweet. I bet they’re a little afraid of what might be in the book – about them, they haven’t read it yet, so they’re likely not sure how to react to it. Coincidentally…I read your interview with George Hodgman, and I think the advice he gave you was perfect. Also, I’m reading Bettyville (halfway through) and love it. I’ve snort laughed so many times at his mother remarks to him (Be still!) and his humor. My brother and I used to walk to a little country store called Wells Grocery. We each would have a quarter, and we’d buy penny candy from a huge wood display with a glass front. The store’s owner, Mrs. Wells – an old old lady – would put what we pointed to in a tiny paper bag. Candy cigarettes, bubble gum cigars, Mary Janes, Peanut Butter Logs, wax bottles with flavored water, BB Bats, Fireballs, and on and on. Those were the days. Hope you sell millions of copies! They gave you love and blessings, they’re proud and happy. These days my daughter likes Sour Patch Kids candy. Intense, not bad — I would have liked them as a kid. Sour Patch Kids — I would adopt and then eat them!